The holiday season is upon us, and with its arrival comes all the delectable sweets and goodies that seem much easier to avoid any other time of year. We usually try to be somewhat conscious of our waistlines and practice moderation amid the festivities. Did you know that moderation can benefit dental health as well? Some of the same foods that we think of as healthy choices when trying to watch our weight are great for our teeth too! Some seem obvious, though you may find others a bit surprising. In any case, it’s great to know that even when we are staring at what seems like an endless supply of cookies, cakes, and candy, there are alternatives on the table that will nourish our teeth and the rest of our bodies. Who knew that these Thanksgiving table staples would be good for your teeth too? Cranberries contain polyphenols, which protect the enamel and inhibit plaque from sticking to the teeth. But there’s a catch: the cranberry sauce found at most holiday dinners contains sugar to balance the notoriously tart taste of the berries, making it more harmful than beneficial. To get the amazing benefits of cranberries without the sugar, opt for homemade sauce instead of store-bought and use a sugar substitute to sweeten. You’d be surprised how easy it is to make cranberry sauce from scratch! Here’s a great recipe that uses stevia instead of sugar. Plentiful this time of year, eating pears is a great way to curb that sweet tooth while cleaning your teeth. Pears are high in fiber and stimulate your saliva to keep the mouth fresh. Another surprise on the list, cheese is rich in casein – which protects the enamel from acid exposure. If your holiday turns sour, aged Parmesan is recommended to combat the damage that excessive vomiting can do. Maybe you can add it to your holiday hangover kit! Forget to floss? Celery has you covered! While you shouldn’t beef up on the celery sticks just to get out of flossing, this veggie platter–classic is composed of many fibrous strands that break apart in the mouth and act like a natural form of floss to clean the teeth until you can do it properly at home. While certainly not as tempting as some of the other items listed, it’s still a must-have for the holidays. It keeps our mouths from getting too dry while catching up with old friends – and from shocking Grandma with our bad breath! 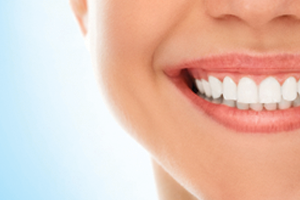 Keep your eyes out for these teeth-friendly option to enjoy a happier smile for the New Year.